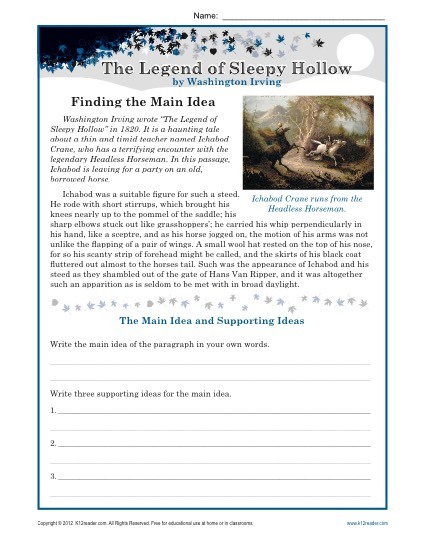 A main idea worksheet about The Legend of Sleepy Hollow, by Washington Irving. The worksheet includes a passage where Ichabod is leaving for a party on an old, borrowed horse. Students write the main idea and supporting ideas. The worksheet is written for students in middle school but may be used in other grades as appropriate.